*Paradise Point* began in 1998 as a timeshare resort. 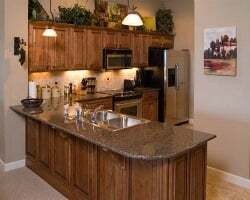 With the construction of the initial building and accompanying amenities, it was realized that Paradise Point could be much more than originally planned. 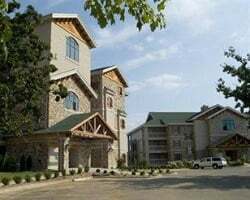 Under new ownership in 2003, the vision expanded to include not only timeshares, but also to integrate whole ownership condominiums, overnight lodging, and a retreat and conference facility. A building is currently under construction, with a third building planned for 2004. With the new buildings, amenities and recreational facilities will be added. 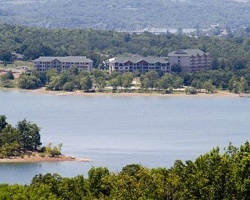 Come be a part of the expansion of this world-known, first-class resort on the waterfront of Table Rock Lake. Motivated seller! Price negotiable! 6k annual year points! Points can be used anywhere in Bluegreen network! Buyer may receive a title fee credit! Motivated seller! Price negotiable! 10k annual year points! Points can be used anywhere in Bluegreen network! Buyer may receive a title fee credit! 61,000 annual points! Points can be used anywhere in the Bluegreen network! Inquire for more details! REDUCED - plan your next SUPERIOR vacation now! 4,000 annual points! GREAT DEAL/REDUCED - plan your famil s upcoming vacation here and you wont be disappointed. 10,000 annual points! 45,000 annual points! Owner is also selling AD#100214139! Buyer may receive a title fee credit, inquire for details! 15,000 annual points! Owner is also selling AD#100214138! Buyer may receive a title fee credit, inquire for details! 44250 pts left for 2015 3 deeds on 1 contract Gold Membership Travelers Plus expires 2017! Buyer May Receive A Title Fee Credit, Inquire For Details! Annual floating week! Access to a secluded beach! Resort is 20 minutes from all the entertainment in Branson! Sale includes 15,000 annual points! Current points available are 13,550! Buyer May Receive A Title Fee Credit, Inquire For Details! Sale includes 35,000 points to explore this charming resort or anywhere in the network! Buyer may receive a title fee credit, inquire for details! 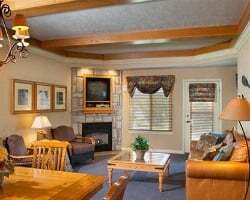 Enjoy this Missouri resort or anywhere in the network with 20,000 points per year! Buyer may receive a title fee credit, inquire for details! 8,000 biennial pts! Enjoy Branson or use pts at any resort in the Bluegreen Network! Buyer May Receive A Title Fee Credit, Inquire for Details! Sale includes 4,500 biennial points! Buyer May Receive A Title Fee Credit, Inquire For Details! Sale includes 7,000 biennial points! Explore the Bluegreen network! Buyer May Receive A Title Fee Credit, Inquire For Details! Sale includes 9,000 biennial points! Points included in the sale! Buyer May Receive A Title Fee Credit, Inquire For Details! Sale includes 5,000 pts every other year! Use points within the Bluegreen network! Buyer May Receive A Title Fee Credit, Inquire For Details! Sale includes 10,000 annual points! Explore any location in the bluegreen network! Sale includes 8,000 biennial points! Explore any resort in the Bluegreen network! Buyer May Receive A Title Fee Credit, Inquire For Details! PRICE NEGOTIABLE! Sale includes 38,000 annual Bluegreen points! Buyer May Receive A Title Fee Credit, Inquire For Details!